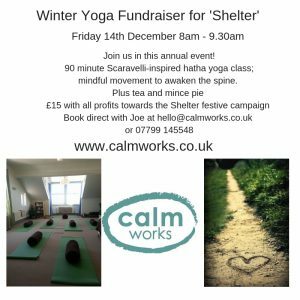 On Friday 14th December Joe ran the annual festive yoga fundraiser. The special Rise &Shine session began with mindful exploring using the breath, spine and gravity and afterwards there was festive tea and treats. In total £225 was raised from attendees and contributions made during the month. This entry was posted in Uncategorised on 24th December 2018 by Joanne Bull. Keep it colourful, fresh and flavoursome! Let food be thy medicine and medicine be thy food. — Hippocrates, father of medicine, 431 B.C. Thirteen may be considered an unlucky number however this might be the exception! I stumbled upon this post by Keri Glassman 13 Healthy Foods That Fight Stress & Depression. Have a look and see if adding these foods into your diet could give you that extra ammunition in your battle against depression and to defeat stress. Every season has its own unique beauty and joy – but it’s almost too tempting to snuggle up indoors during the winter and only enjoy the weather from the warm side of the window. 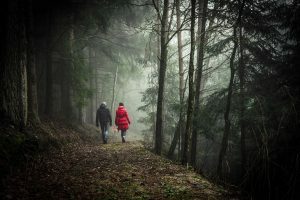 That’s why The Ramblers (formerly The Ramblers’ Association but now trendily abbreviated and with a funky logo) is bringing back its Festival of Winter Walks, in a bid to get us all to lace up our boots and head out, whatever the weather. The festival runs from Friday 21 December to Sunday 6 January and includes group walks (pop over to the website, link above) for details – or go it alone on one of the 2,750 walking routes listed on the site. Still need encouragement to get your hat and gloves on and get outside? Here’s a run down of my top five benefits of walking. A King’s College London study suggested fitter legs are linked to a fitter brain, as we get older. 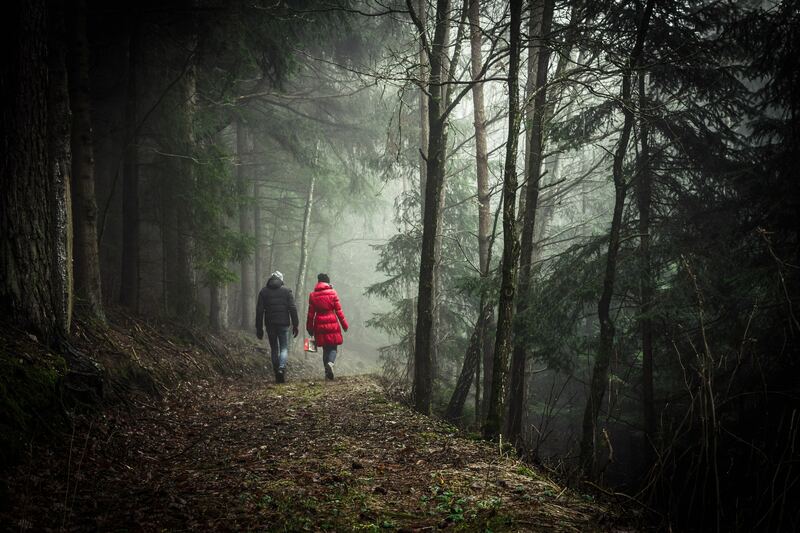 The study of twins found that simply walking more can improve brain function in later years. Not seen sunlight for days? Vitamin D levels can plummet during winter so get out and soak up the sunshine vitamin whenever possible. It will not only boost your energy, it maintains a healthy heart and strong bones. A Cambridge University study suggested a daily 20 minute walk could reduce the risk of early death. It found twice as many deaths may be due to lack of exercise than obesity. In fact, it might be better. US researchers found that running reduced the risk of heart disease by 4.5% while walking reduced it by 9.3%. High blood pressure and high cholesterol risks were also lowered by more than running and diabetes risk was reduced equally by running and walking. Exercise improves self-esteem, mood and sleep quality and reduces stress, anxiety and fatigue. Physically active people have up to a 30% reduced risk of becoming depressed and staying active helps those who are depressed recover. And so long as it’s not too damp to make the most of your outside time you can also indulge in a healthy dose of forest bathing! 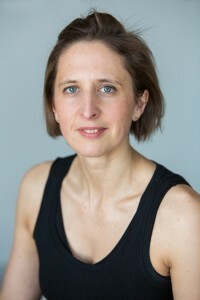 This entry was posted in Uncategorised on 5th December 2018 by Joanne Bull. This is a special ‘Rise & Shine’ yoga with all profits going towards Shelter; this charity do great work all year round and especially so during the winter and festive season providing a hot meal, warm clothing and friendly company to those in need. Please note: Pre book your mat with Joe as limited numbers. Yoga passess not valid. Once the session is over why not join us for a warm herbal tea & festive nibble? Can’t make the session? Feel free to make a donation in the golden pig of gratitude. This entry was posted in Uncategorised on 21st November 2018 by Joanne Bull. Celebratory hugs, friendship hugs, intimate hugs… bring them all on! But there’s something about the onset of winter that makes us want to snuggle into a lovely warm cuddle. There’s more to it than you might think, too. Here are seven reasons simply winding our arms around each other is amazing for our health. Words are powerful but sometimes physical contact can actually say more than even the most well-chosen vocabulary. It’s a primal thing: we develop our sense of touch before all others. We all know that babies and children need to be hugged and held often – and sometimes grown ups need that too. Hugging helps to build trust between people – as long as they’re both happy to cuddle up, of course. In our digital age, we’re more connected than ever but this isn’t always reflected physically. Remember to give your friends and family a good squeeze when you see them – it’s more important than a ‘like’ on social media. Oxytocin is one hormone we all want more of! It rises when we hug people, or even sit close together and, particularly in women, reduces our blood pressure. Oxytocin is known as the ‘bonding hormone’ and it’s particularly important in parent-child and romantic partner relationships. It’s linked to feelings of happiness and reducing loneliness and anger. Even outside your closest family, hugs help social bonding and feelings of belonging. It’s another feel-good hormone: hold that hug for a long time and scientists have spotted an increase in serotonin levels – the ‘happy hormone’. Presumably as long as you don’t breathe germs over each other! 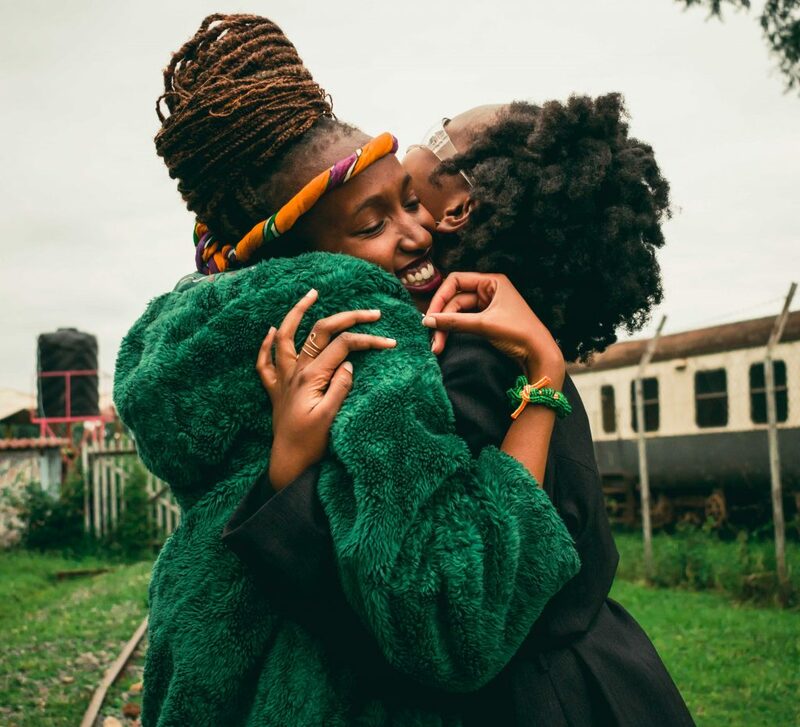 It’s believed that hugs boost the immune system, thanks to the stress-reducing effects which can actually reduce your chances of catching a cold – or at least suffer less severe symptoms, according to a 2014 study. Being hugged is wrapped up with feeling good about yourself. This comes from the earliest days when your family hugged you as a newborn baby. By linking to those happy feelings, cuddles make you feel better about yourself. But it’s not just your family that can boost that self-esteem and success. The New York Times reported on a study by Michael W. Kraus, Cassy Huang and Dr. Keltner, scientists at Berkeley, which discovered that the teams most successful in the National Basketball Association were those who hugged each other the most. We’ve already touched on this but it’s also worth noting that hugging relaxes muscles and reduces tension in the body. An Amsterdam University study found that touch is valuable in reducing anxiety in people with low self-esteem – even hugging a teddy bear can help! Reassuring if you don’t always have someone around to snuggle. Cuddles also lower our heart rates – and reduce levels of stress hormone cortisol. The middle of a big hug is a great place to forget about everything else and just cherish the moment. Those physical responses we’ve touched on mean our breathing slows and we’re brought to focus on the moment. Convinced? Good. Now enjoy your next hug!